In November 2016, Dr. Pablo Arenaz became a part of TAMIU’s history. 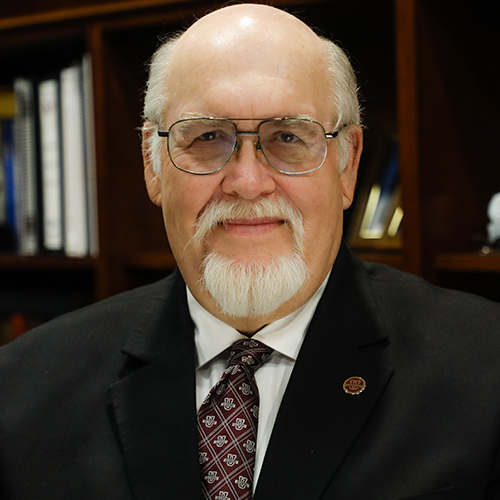 He’s now the sixth president of the University as affirmed by The Texas A&M University System Board of Regents. An acclaimed research scientist who’s secured over $34 million in research grants, he’s a tireless advocate for minority participation in science and research. He’ll also be the first to tell you that it’s highly unlikely anyone’s childhood dream is to become a university president…but he quickly reminds that change only happens through leadership. His short-, mid- and long-term vision for the future of the University includes breaking ground for a new academic/laboratory building, adding new doctoral degrees in criminal justice, humanities and education, and transforming TAMIU from a comprehensive master’s institution to a doctoral institution that’s a national higher education destination. Dr. Arenaz provided some fascinating insight and perspective as he takes on the role of TAMIU president. How would your grade school teachers have described you? How would you describe your childhood in Las Vegas? Although growing up in Las Vegas might seem unusual, my childhood was pretty normal. For as long as I can remember, I have had a curiosity about how living things work…at 12, my parents gave me a microscope and I spent a lot of time looking at pond water and marveling at different life forms. I credit my love of science to my high school biology class and a great instructor – Virgil Sestini – who brought biology to life. What did your parents think of your educational aspirations? My parents were very supportive of my going to college and my interest in biology. They were very happy when I initially showed an interest in following in their footsteps and becoming a teacher. What is your most memorable research experience? Three major events stick out the most: first, having my first paper published; second, having a paper published in the Proceedings of the National Academy of Science; and third, and probably most significant, my role in the cloning of the Chinese hamster apurinic/apyrimidinic endonuclease (AP endonuclease) gene. AP endonuclease is a primary protein involved in the repair of certain types of damage to the DNA molecule. What one word would you use to describe TAMIU at this time in its history? The one word I would use is DYNAMIC. We are a dynamic institution, constantly looking for new ways to improve what we do and to enhance the capabilities of our students and faculty. What three things would you insist that TAMIU students undertake? Students should engage in a research/scholarship opportunity in their discipline with a faculty member, participate in at least one internship, and experience at least one study abroad trip. What do you see ahead for TAMIU in the short-, mid- and long-term? Short-term – Completion of a new Academic/Laboratory Building which will give us additional classroom and laboratory space; launching of our Signature Course program; adding a new program in interdisciplinary engineering with a focus on petroleum engineering and computer science, and closer ties with Laredo Community College. Mid-term – Adding new doctoral degrees in Criminal Justice, Humanities and Education; increasing enrollment through expanding our footprint beyond South Texas; expanding engineering offerings to include MS in Systems Engineering and a BS in Civil or Industrial Engineering with an focus on Logistics; increase external funding, and continue to develop the “international” or global component of the University. Long-term – To move TAMIU from a comprehensive Master’s institution to a Doctoral institution; increase research/scholarly activity; develop TAMIU into a DESTINATION institution where students nationally want to come because we have programs recognized among the best in the country. What can students, faculty, alums and Laredoans do to help advance TAMIU? Students need to become more engaged with the University community through student organizations and participate in leadership. Faculty should always be involved as mentors and provide student research experiences. I would hope that alumni and the Laredo community at large would engage our students as interns and provide shadowing opportunities. If you could have anyone at your dinner table of six, living or long gone, who would they be and why? Gregor Mendel – I would love to know how he came up with what we now know as the basic concepts of inheritance. Charles Darwin -- For the same reason, the development of the Theory of evolution. Bill Clinton and Lyndon Johnson -- I would love to have a conversation about politics with them. Paul McCartney -- Because the Beatles’ music had such an impact on my life. I would serve Basque-style roasted leg of lamb with an ancient grain mix of quinoa, spelt and millet and roasted root vegetables (carrots, parsnips, turnips and beets). For dessert, a fresh fruit tart with Basque-style walnut cream. If you couldn’t be president of TAMIU, what would be a close second? President of my alma mater – The University of Nevada–Reno.